Magical Unicorn sweet treats that are as delicious as they look! 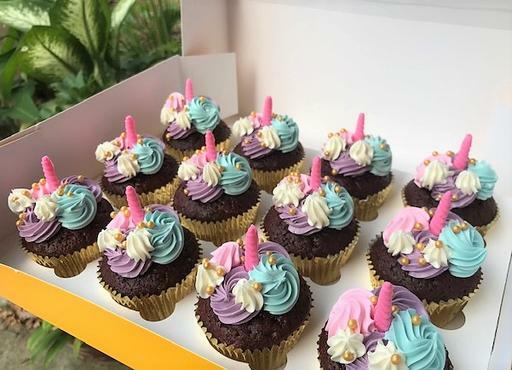 Handcrafted Red Velvet cupcakes topped with beautifully coloured buttercream mane topped with a pink chocolate horn! Sprinkle a little magic to your special celebration today!